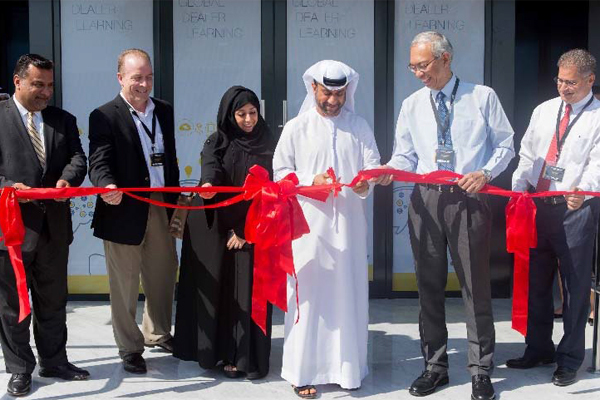 Caterpillar officially opened its new state-of-the-art regional training centre for the African and Middle East Region (AME) in Dubai, UAE, recently. The centre leverages the latest in learning technology by offering hands-on machine and energy/transportation technical and sales training for Cat dealers and customers in the AME region. Built at an investment of more than $7 million, the approximately 1,700 sq m centre will employ about 40 people, mostly high-level technical staff who will primarily be recruited from the region. More than 7,000 technicians at AME Cat dealers have some of the most direct connections with Caterpillar customers as they service and maintain their equipment. The training they’ll receive at the new centre in Dubai will help to enhance their skills and knowledge on both product and the latest product support technologies, the company said.